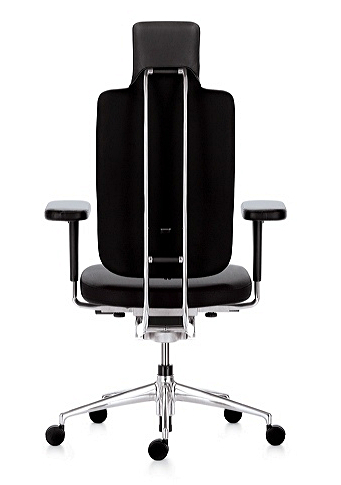 Unlike many other office chairs the Vitra HeadLine not only optimally supports the lumbar spine region, but also the head and neck. 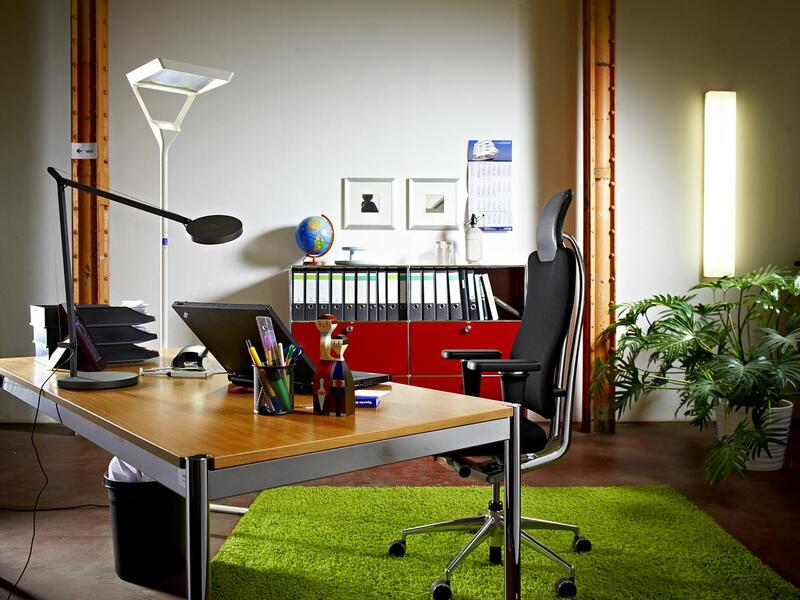 Thus the Vitra HeadLine is the perfect ergonomic partner for long days at the desk. In addition to its ergonomic efficiency, the air-permeable 3D mesh fabric of Vitra HeadLine allows for a pleasant working environment while the sleek silhouette makes the Vitra HeadLine just as aesthetically convincing as it is functionally. Care Dust and lint can be simply vacuumed. To treat stains use a damp cloth with a mild, neutral detergent. Professional cleaning should be undertaken in the mounted state and with the use of textile foam or using a mobile wash-extraction device. 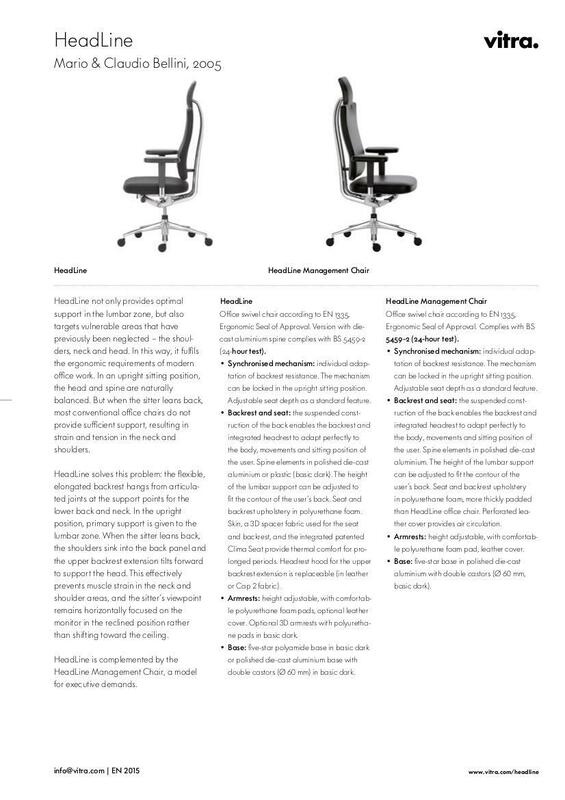 What is the difference between the HeadLine office swivel chair and the HeadLine Management Chair? 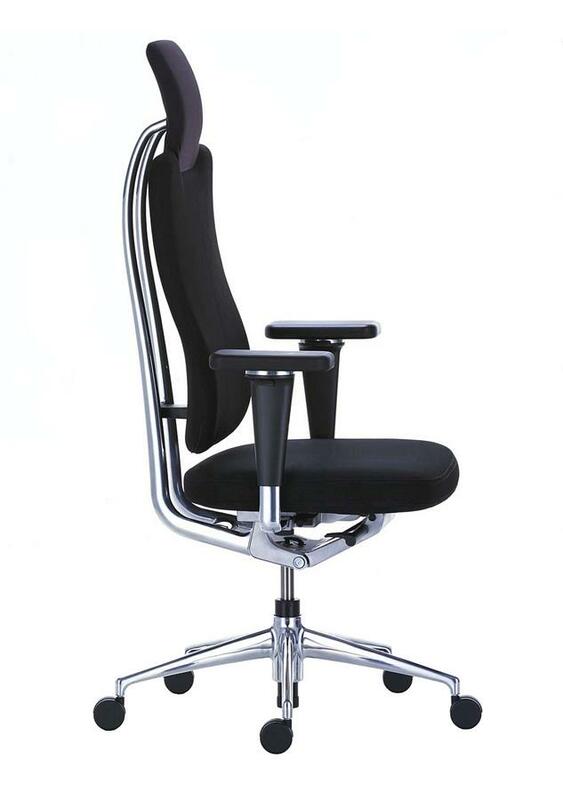 The HeadLine Management Chair is a more representative version of the HeadLine office swivel chair. 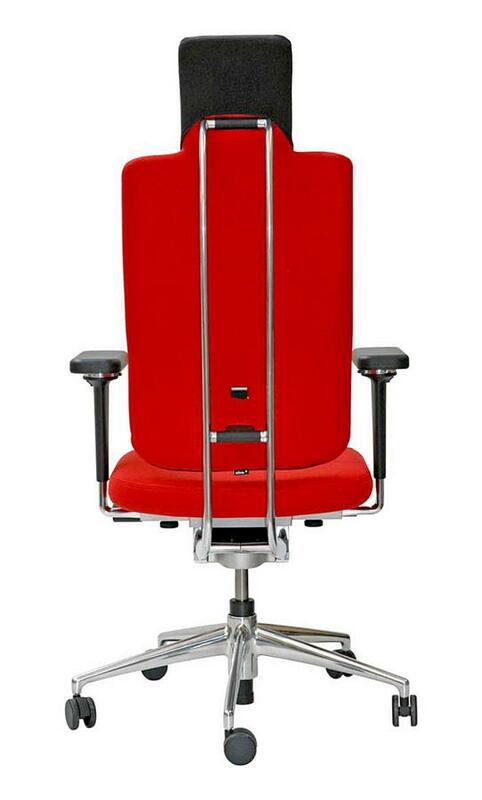 With the HeadLine Management Chair the seat and back are covered in an extra fine perforated leather which is available in different colours. 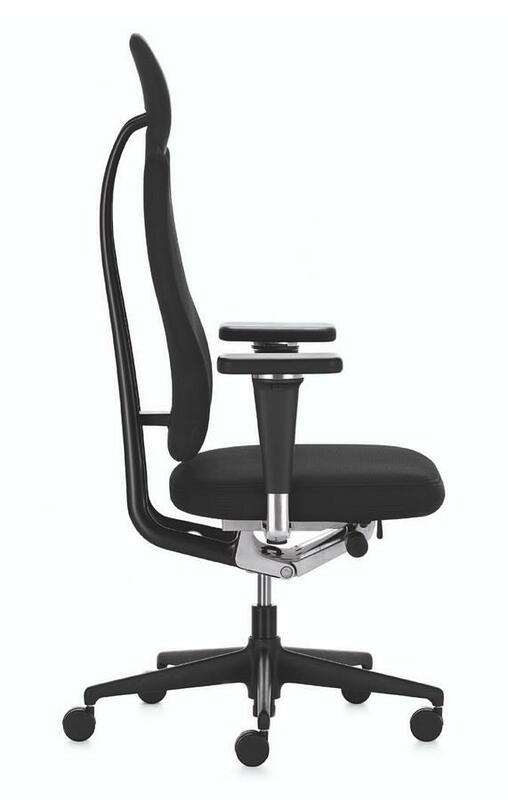 How much weight can the HeadLine chair support? 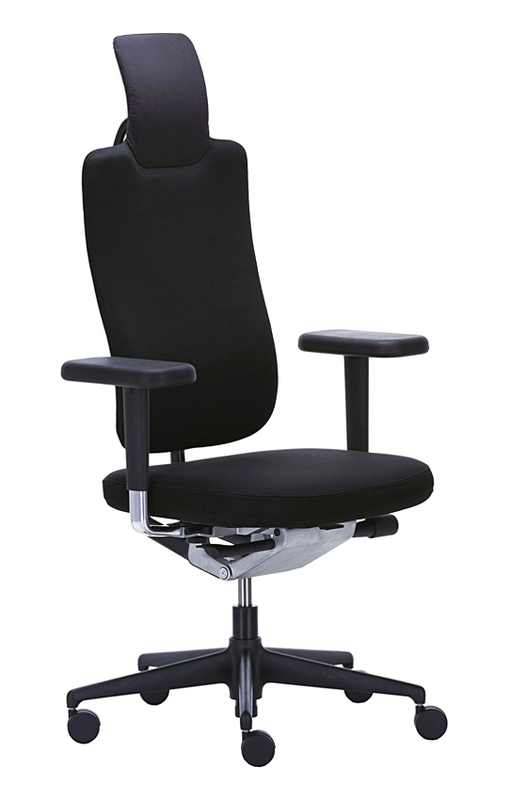 The HeadLine office swivel chair has been tested to 150 kg. If the user is heavier, the wear on the mobile components increases strongly. 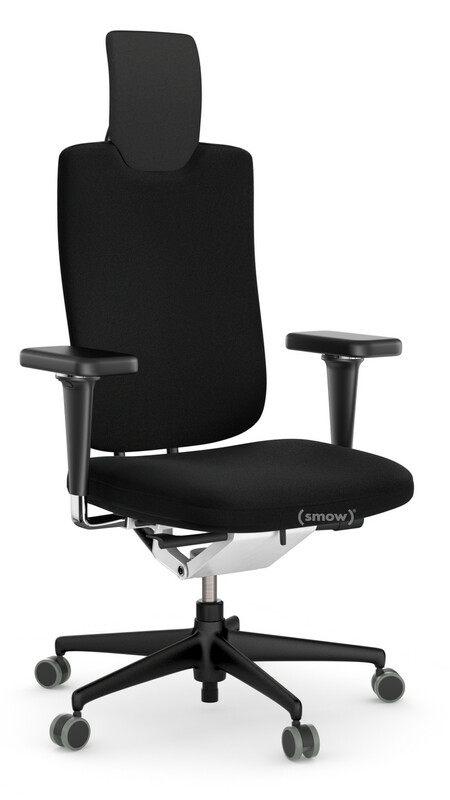 However not only the user's weight plays a major role in the wear of the chair, also the sitting habits are important. If, for example, you regularly drop heavily into the chair, or use the armrests to help you stand-up, you can exert high, localised, stress loads. These loads can be even greater than those exerted by one sitting, but very heavy, user. With its high backrest and headrest the Vitra HeadLine is the perfect office chair for long hours in front of computer screen. Unlike other office chairs here not only back and spine are perfectly supported, also the head and neck are in good hands. 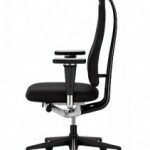 The backrest is suspended over the separate carrier spine both in the area of the lumbar and also neck, thus providing optimal support. 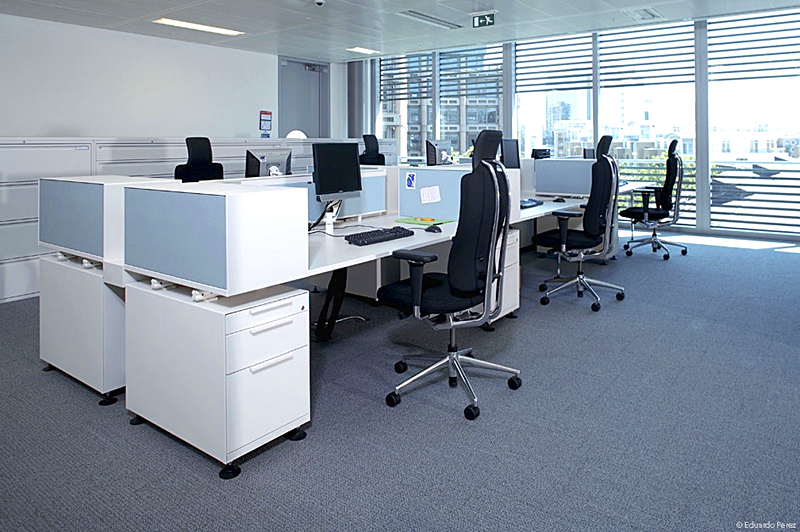 As you sit in the HeadLine office swivel chair your back, shoulders and head are automatically supported, preventing tension in these sensitive areas. Through the fact that the sitter's view is automatically directed to the front and not to the ceiling means looking at a screen is also possible in a reclined form. 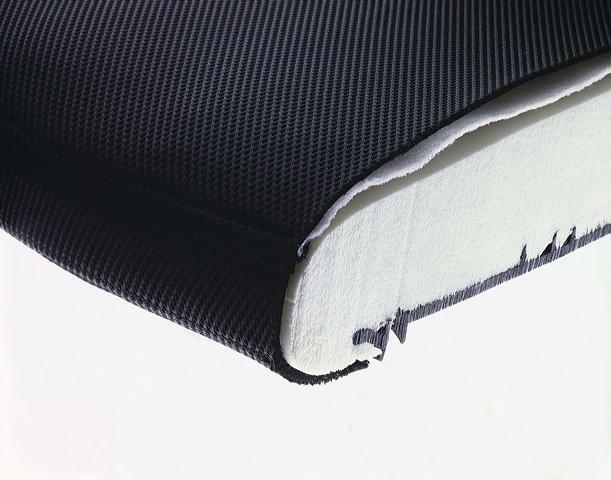 The three-dimensional spacer fabric allows efficient air circulation while breathable fabric in the seat cushion absorbs moisture, thus creating a comfortable seating experience and pleasant working conditions. 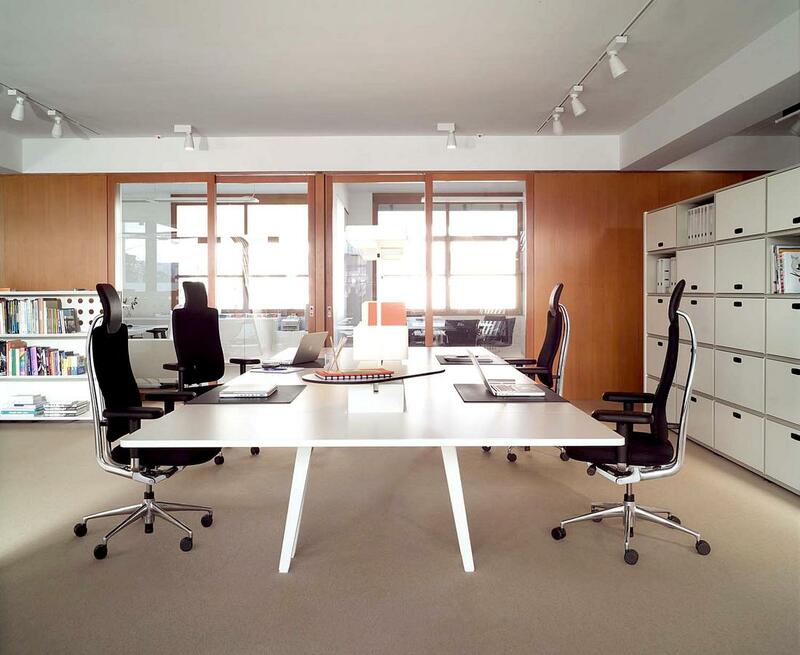 Supporting such claims is the fact that the HeadLine office swivel chair is Blue Angel for low-emission upholstered furniture and the Greenguard Indoor Air Quality certified. Visually the chair offers a sleek silhouette, particularly in the leather version with aluminum frame, the HeadLine Management Chair. 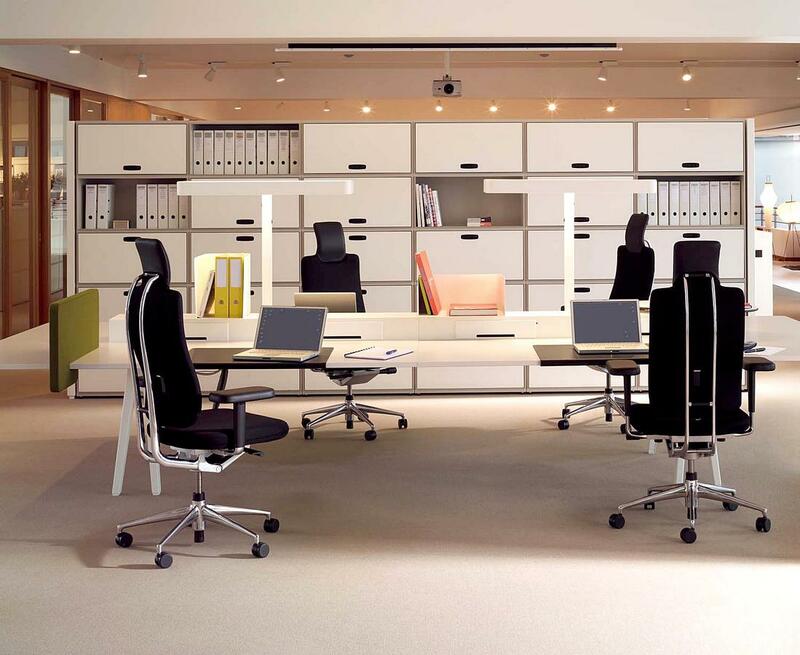 The HeadLine Vitra office chair originates in Weil am Rhein, Germany, where part of the Vitra production facilities is located. In all stages of production of the company place special attention on sustainability. In the case of the HeadLine office chair that means a product comprised of some 53% recycled materials and 98.5% of which can be recycled. In addition, should any parts become damaged or worn these can be easily replaced. The fabric covers are made either of polyester or a mix of polyester and polyamide, the frame is available in basic dark plastic or polished die-cast aluminium. 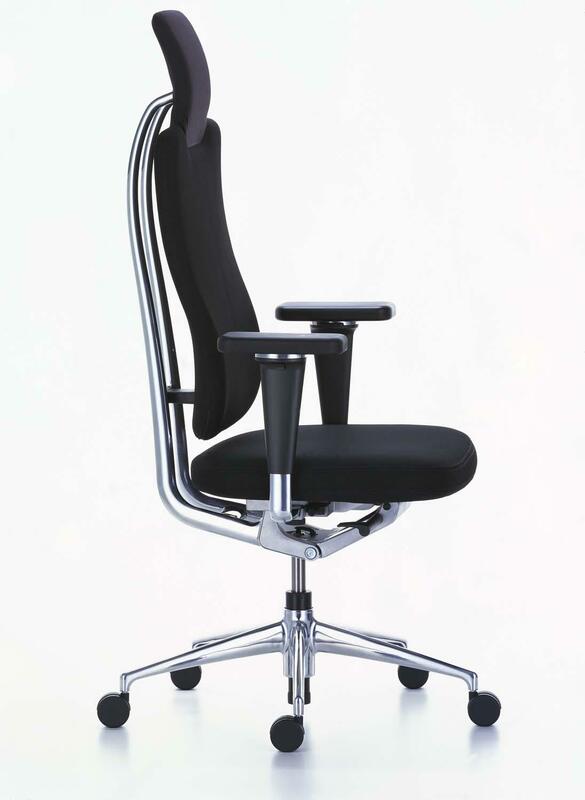 The manufacturer of the HeadLine office swivel chair is the Swiss company Vitra. Founded in 1953 in Birsfelden, Vitra subsequently moved a few miles over the German border to Weil am Rhein. There the Vitra Campus developed, and so one of the most exciting locations for modern design and contemporary architecture: the VitraHaus by Herzog & de Meuron or the Vitra Design Museum by Frank Gehry expressing a particularly innovative, if not always accessible and easy, design language. In terms of Vitra's furniture design history, everything began with an Eames Chair. This was followed by the development of first the Panton Chair and subsequently contemporary designs by young designers such as Ronan and Erwan Bouroullec. 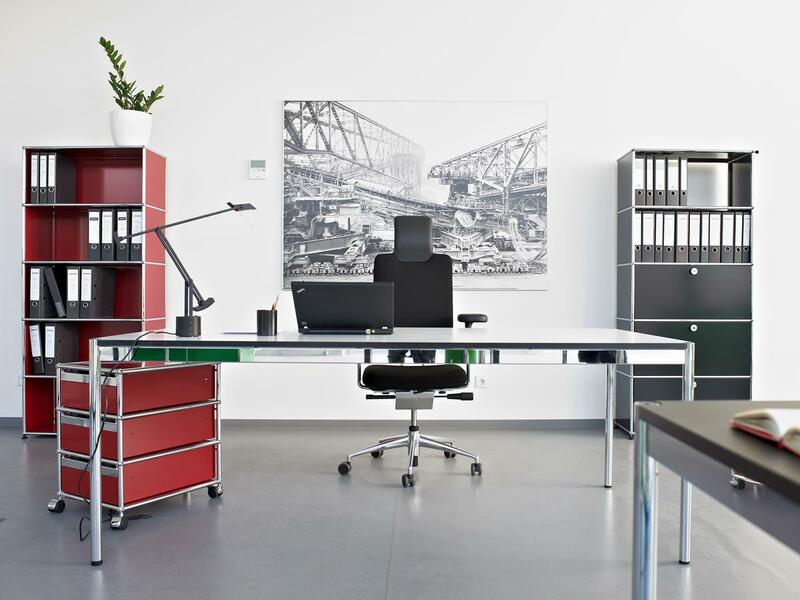 Since the launch of Vitramat at Orgatec 1976 Vitra have also been one of the leading global producers of office furniture with a portfolio widely recognised for its easy combination of ergonomics and aesthetics. The Vitra HeadLine office chair is a father-son project. Father Mario Bellini was born on 1 February 1935 in Milan. 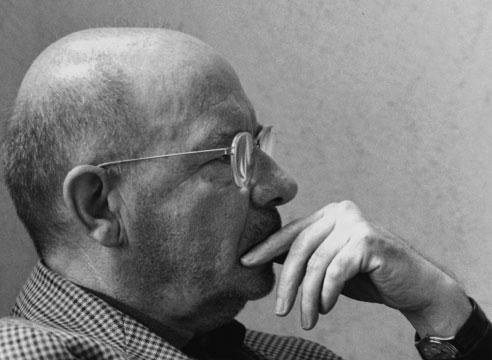 Following completion of his architecture studies Mario Bellini taught industrial design, worked on various architectural projects, and designed objects for companies as varied as Olivetti or Lamy. In 1973 Mario Bellini opened his own design and architecture studio, before in 1996 he established Atelier Bellini with his son Claudio Bellini. 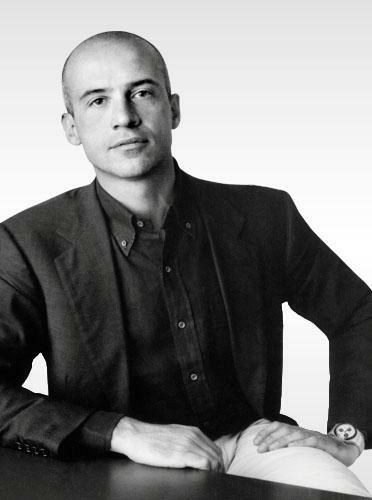 Born in 1963 Claudio Bellini developed his own portfolio of architectural and design projects for companies such as or Thonet, Poltrona Frau and Walter Knoll, in addition to completing projects in close cooperation with his father. Claudio and Mario Bellini live and work in Milan.